Hi does anybody know when any of the Carpathia's passengers and crew died and who they were? Andrew: Are you asking about the passengers and crew that were on board when picking up Titanic victims? There are a few crackerjack researchers here, and I bet that they have come across the names in their searches. As far as a compilation from one person, who knows. You can do a quick search and find out right away what happened to "Bissett". I know he later captained the Queen Mary and he wrote a couple books so he is a fairly easy find. I'm not certain if this is what Andrew was referring to, but Franz Willwerth died at sea during the Carpathia's 'Titanic voyage.' He was being deported from the U.S. along with a number of other people. Just the ones people know of. Has anybody heard of Simon Senecal, who is purportedly a Montreal merchant, and passenger aboard the Carpathia? If so, what do you know about him? Can any one tell me where I can get a listing of the crew of the Carpathia? The problem for me is all I know from my mother is that her uncle was one of the crew members that played a part in saving Lady Astor's life. His mother used to say "All that mans money and all he got was a medal"........ I need to find out where they came from as well as I do not know which side of the family he came from. Can any one help Please. Thank you Samuel, I will check through them to find the right area HOPE ! Can any one tell me if there is and I am sure there is a listing of those who received medals? Try the Ellis Island website at www.ellisisland.org. Happy New Year. Hope you are keeping well. My understanding is that the Ellis Island web-site only contains Lists of incoming passengers. The only Carpathia Lists that I know of that have any association with Titanic are of Titanic's surviving passengers: 06/18/1912 - Southampton. The man Barb is looking for was an outgoing passenger. Do such records exist? I recall other posts asking about Carpathia's Passenger List. Quite right, Lester; in fact there have been a couple of threads asking about Carpathia's passenger list. They can be found here. And yes, the Ellis Island manifests are for incoming ships only. Happy New Year to you as well. Yes, thanks, I am keeping well; hope you are too. You're right, my mistake, so I stand corrected,. Researchers Craig Stringer and Vera Gillespie might be able to tell you since they did research on that voyage and its passengers. You might search on the New York Times, 19 April 1912. Thank you all for the suggestions. I have had a hard time with the Ellis Island information, because it is unfortunately not always correct. My grandfather and his mother are listed in the records, but they have spelled the name incorrectly and have her age wrong as well. I think my grandfather (John Senich) may be one of the last survivors from that night. VERA - Can you please tell me how the search from the 1912 paper would let me know who is still alive today? Are there links on a site that has that sort of information? THANK YOU! Hi, My great uncle and grandfather were both on the Carpathia when she rescued survivors from the Titanic. Names are Robert Stanley Christian Cowan and William Dellow. I see their names on the list of crew, and my great uncle told me stories about being on the ship when they rescued survivors, but thats all I know. Does anyone know anything about either of them ie. what they did or how they helped in the rescue? 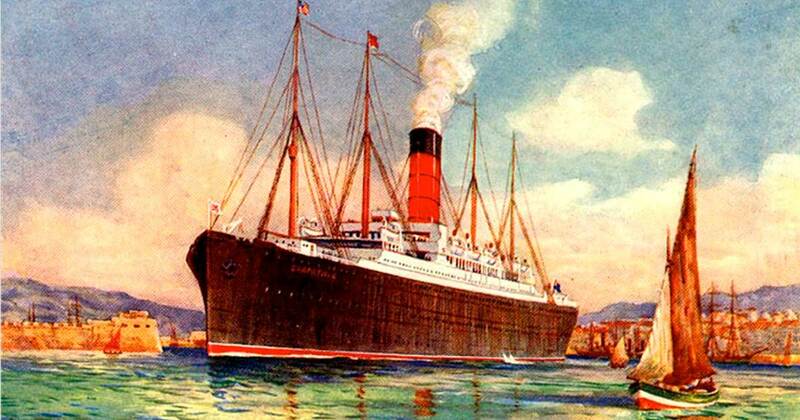 Günter Bäbler and other researchers have now put together the start of an accurate Carpathia passenger list. It's a great starting point for further research.